From the pictures and videos, we are seeing from the sets of ‘Dangal’ director Nitesh Tiwari’s ‘Chhichhore’ since the past few days, it is not difficult to understand that the whole cast and crew are having a ball shooting the multi-starrer. Sushant Singh Rajput is one big ‘Chhichhora’ that’s quite visible. Recently, he posted a video with Naveen Polishetty where they enacted a whole Bollywood song (‘Koi Mil Gaya’ from ‘Kuch Kuch Hota Hai’). Now, we get to hear that he has been taking dance lessons from Shraddha Kapoor. 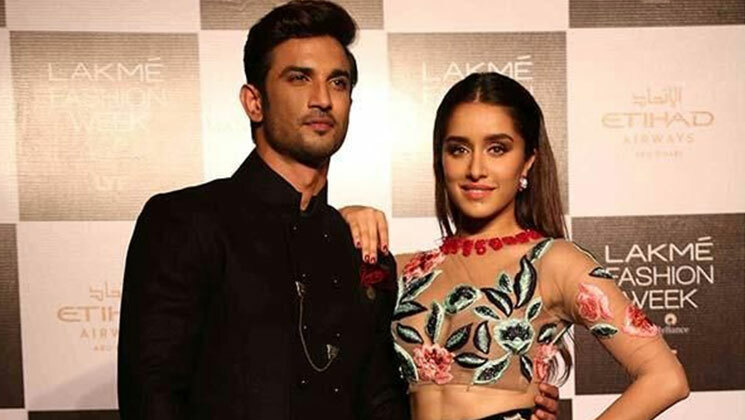 While we all know that Sushant is a great dancer himself, it’s quite unbelievable to hear that he took dance lessons from Shraddha. So what did exactly happen on sets? ‘Chhichhore’ takes a different take on life and is in its final schedule of shooting. It’s slated to release on August 30, It will clash at the box-office with Rajkummar Rao and Mouni Roy starrer ‘Made In China’. Also Read: Did Sara Ali Khan and Sushant Singh Rajput have a huge fight over THIS reason?